Banner in a Chiapas march: “We are fed up with: 1. the hikes in fuel prices; 2. the cost of electricity; and 3. the price of gas. But we’re more fed up with the coward who does nothing. Wake up mother fucker! The image has been reproduced a thousand times as a symbol of the times. At the exit of a department store sacked by a plebeian multitude, a young man carries an enormous new screen on his back. With that screen, he recovers from the offence of being needy in a country in which being so is not only a material tragedy but also the symbol of social defeat. Installed in the perpetual fiesta of consumption, the lords of money exhibit their fortune without modesty. They exhibit their luxuries without any modesty, as material evidence of their success in life. And, the pariahs, without an entry pass to the spectacle of extravagance, watch the ostentation and opulence of the powerful from their humble homes through the window of television programmes, until the opportunity arrives to take their revenge. With that screen, its new owner has the illusion that he has achieved slipping into the banquet of the wealthy. The robbery’s harvest, two or three times larger than the almost 10 million television sets that the federal government gave away with the pretext of the 2015 analogue blackout, doesn’t commit either his vote or his loyalty, as happened during that year’s elections. That television is also his personal retaliation to the politicians’ endless swindles. If the ex- governors of Veracruz, Chihuahua, Quintana Roo, Coahuila and Nuevo León embezzled from state coffers without suffering any punishment, why not keep an item without having to pay for it? He obtained that screen by breaking the law. But perhaps those above don’t do it like that? He snatched it in a strike of luck and audacity, in an act of rage and rancour accumulated for years, which the gasolinazo took the lid off. That is an explanation for the waves of looting that have shaken several regions of the country, like the state of Mexico, Veracruz, Hidalgo and Nuevo León. However there are those who put that explanation in doubt and offer another: that of a plot. Some say that public functionaries organized the pillage as part of a variant of the shock doctrine to justify the intervention of public force against those in disagreement with the increase in gas prices, and to discourage the popular protests. 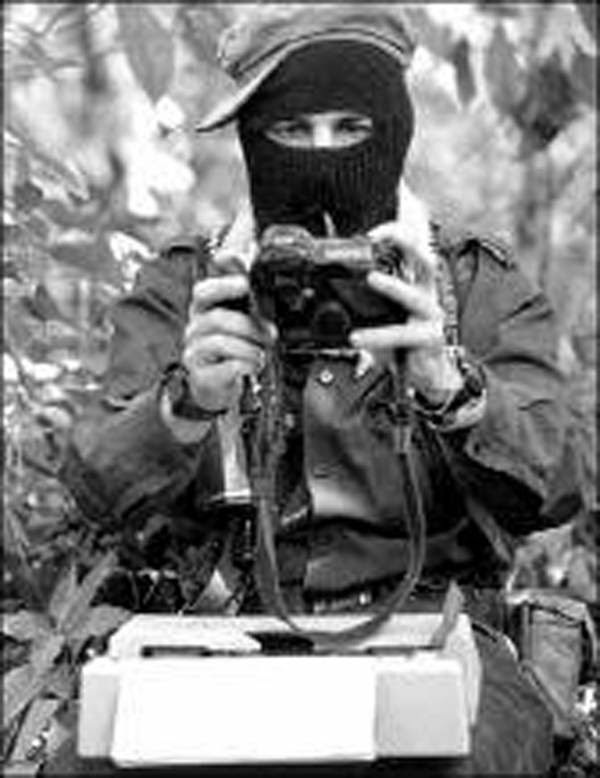 This strategy of fear combines disinformation campaigns in the social networks, public calls to rob warehouses, the absence of public force guarding businesses, government agents and police that offer money and impunity for committing robberies, and the action of provocateurs like Antorcha Campesina. Abundant testimony and evidence have been published in the social networks that seem to corroborate this hypothesis, above all in the state of Mexico and in Puebla. In more than one video police can be seen stealing merchandise. Has this strategy had success? Yes and no. Yes, because in different sectors of the population a climate of fear and uncertainty has been created, which has inhibited their incorporation into the protests. Yes, because groups of impresarios that were opposed from the beginning to the gasolinazo now demand a heavy hand for calming down the protests. No, because, despite everything, far from diminishing, the social discontent continues expanding and shows no signs of weakening in the short-term. The relationship between the number of protests and looting is, according to a recap of journalistic notes, at least five to one. And no because the pillage has expanded beyond the control of its hypothetical sponsors: more than 800 businesses according to the Concanaco (Mexico’s National Chamber of Commerce). Then, are the robberies of large warehouses actions orchestrated by government actors or are they expressions of social rancour? They are probably both. Although in the beginning they may have been induced from some sphere of power, they are also an expression of a genuine and accumulated social discontent. Looting is the most visible face of the popular insurrection under way, but it’s far from being the only one. Meetings, marches, liberation of toll booths on superhighways and blockages of gas stations, highways, railroads and centrals of Pemex have been carried out all over the country. Expressions of solidarity abound. The big rig drivers that in Chihuahua obstructed vehicle movement say, half in jest half seriously, that they had never eaten as well as they do now because of the popular support: meat at breakfast, lunch and dinner. The protest against the gasolinazo is an unprecedented act, generalized, amorphous, spontaneous, lacking set direction and organizational centre. In the acts, we’re dealing with multiple regional protests, each one different than the others. In the first line of opposition are big rig drivers, transport drivers, taxi drivers, all those whose work is directly associated with the consumption of fuel. They are the ones who have organized many of the roadblocks. They have paid a high price. Many of their compañeros have been arrested. But, irrigation farmers, campesinos, self-convoked citizens, housewives, professionals, parish priests and teachers also participate in the days of struggle. The gasolinazo hit a part of the “middle class” at the waterline and launched it into the public squares. The awesome Monterrey demonstration tells the story. The block in power is fractured. The governors of Sonora, Chihuahua and Tamaulipas ask to reconsider the increase in gas prices. The governor of Jalisco went even further and reached an agreement with Enrique Alfaro  and Movimiento Ciudadano (Citizen Movement). With an even more energetic tone, the Conference of Mexican Bishops (Conferencia del Episcopado Mexicano, CEM) did the same thing. And just in case something is missing, in what is the cherry on the cake on the cake of this rupture, Coparmex (Mexican Employers Association) rejected Peña Nieto’s proposed economic package. Disconcerted, a good part of the traditional opposition leaders, social leaders as well as political leaders, have been bypassed. Their astonishment comes from the hand of the governmental inability to comprehend what it has in front of it. New popular local leaderships have emerged in the heat of the fight. The January 7 marches, in at least 25 states, would seem to be an indicator of the advance of national protest. In them, it went from the demand to lower the price of fuels to the demand for the President’s resignation. Those demonstrations, some large and others small, could be a point of inflection in the ability to organize resistance. Enrique Alfaro is the Mayor of Guadalajara, Jalisco and a member of Movimiento Ciudadano. Movimiento Ciudadano (Citizen Movement) is a registered political party in Mexico.